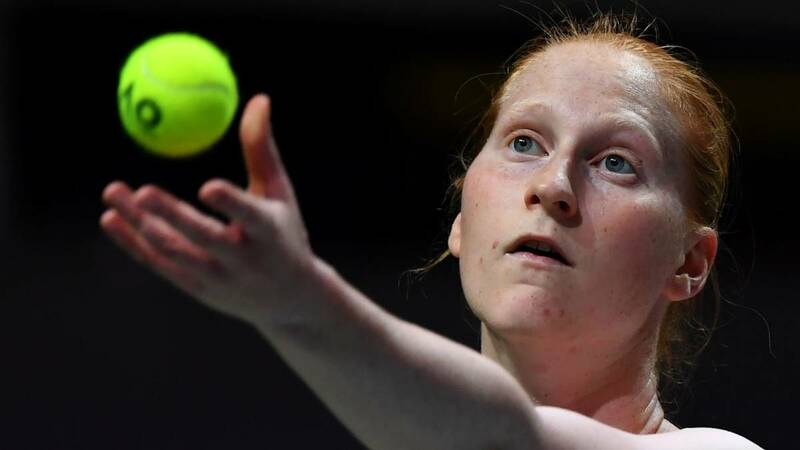 The Belgian Alison van Uytvanck, rival of Spain in the next round for the promotion to the World Group Federation Cup, fell to the French Ferro, 6-4 and 7-5. The Belgian Alison van Uytvanck, rival of España in the next qualifying round for the promotion to Grupo Mundial of the Copa Federación, fell this Wednesday in the second round of the tournament of Lugano (Suiza), where she started as fourth favorite, against the French Fiona Ferro , by 6-4 and 7-5. Van Uytvanck was the executioner of Garbiñe Muguruza in Wimbledon last year, when he defeated the Spanish in the second round by 5-7 6-2 and 6-1. Garbiñe, precisely, has also been called this Tuesday by the captain Anabel Medina, to measure against the Belgians, on April 20 and 21 at Sportcampus Lange Munte of Cortrique, on fast and covered track. In another second round match, the Slovenian Polona Hercog, executioner on Monday of the Spanish Carla Suárez, second favorite, surpassed the Romanian Sorana Cirstea, by 3-6, 7-6 (0) and 6-4, and the Russian Veronika Kudermetova to the Swiss Jil Teichmann , by 6-2, 4-6 and 7-6 (2) .